The name Tiger Woods and the word endorsement tend to have dollar signs springing to mind. But Tiger was quick to endorse freebies recently when asked about the policy at Mission Hills in China to allow anyone under the age of 16 to play the par-3 Zhang Lian Wei course for free. Admittedly, Mission Hills benefits from having multiple courses – indeed 7 at Shenzhen, 5 at Dongguan, and 10 at Haikou – so implementing a free golf policy is a little easier there than at the average club. But putting the number of courses aside for a moment, there’s no denying that such a scheme has the potential to kick start participation at grass roots levels. In this country, there are figures to support the notion that participation in golf has grown, but at the same time membership numbers are generally in decline. Bucking this trend is one of the greatest challenges clubs now face and if a long-term strategy is to be employed, surely it needs to start with children? And young women, I’d argue. I forever hear stories of girls and young women who are keen to get into golf but who still feel that access is a barrier (whether in reality or just their perception, it results in the same outcome). Cost, image, the opportunity to play locally, and the number of like-minded/aged female members to play with, are all hurdles to overcome. Somehow, clubs need to break these barriers down. For my money, the model being adopted by Mission Hills is the perfect way to do just that and I’m convinced you don’t need more than one course to do it. Every club would concede that at certain times of the year, or even the week, there are periods when the course is largely deserted – and if not the course, then at least the practice range, putting green or chipping areas. 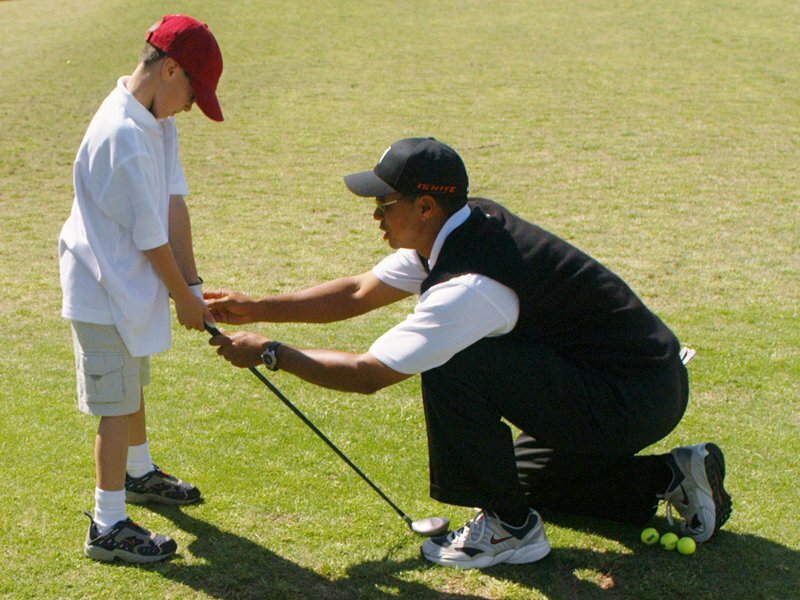 Borrowing the model from Mission Hills, why don’t more clubs view these times as opportunities to introduce golf to local children (or any other prospective member) rather than just letting them go to waste? The facilities are there and the staff employed, so offering some group lessons, golf and equipment hire doesn’t have to cost the club anything other than a bit of time and effort. I think the kids, young women, and many young men (still plenty of prospects in that market, too), would jump at the chance of such an opportunity. If it’s structured, controlled, and given a positive spin, it will offer the golf club a chance to break down the barrier and misconceptions with the very people that matter most. OK, not everyone that takes advantage will join, but with any luck a few new members may result and, who knows, you might just stumble across the next Tiger Woods. Now that would be good PR! As I see it, the alternative is to stick with the status quo – leave the quiet times quiet; let perceptions remain the same, and trundle on as before with our fingers crossed. What do they say about that definition of insanity? Doing the same things over and over and expecting different results?! In an age when golf has to compete with not only other traditional sports and pastimes but computer games and social networking for attention, I can’t help but think that a more dynamic and vocal approach to engaging the next generation is needed. Without it I fear golf will find itself on a slippery slope. Speed Up Play – It Will Quieten Your Mind!